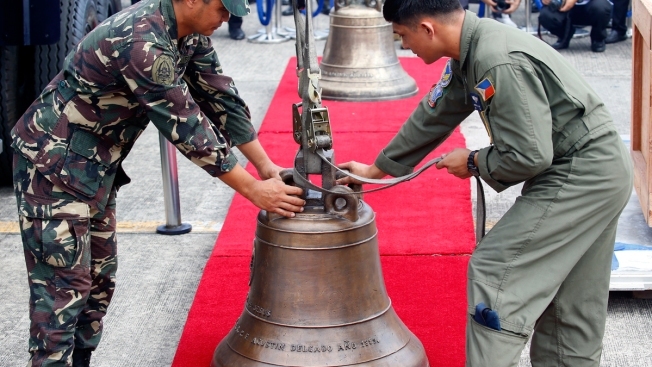 Philippine Air Force personnel unload three church bells seized by American troops as war trophies more than a century ago, as they arrive to be handed back to the Philippines Tuesday, Dec. 11, 2018 in suburban Pasay city, southeast of Manila. American occupation troops took the bells in 1901 from a Catholic church following an attack by machete-wielding Filipino villagers, who killed 48 U.S. troops in the town of Balangiga on central Samar island in one of the U.S. Army's worst single-battle losses of that era. The bells are revered by Filipinos as symbols of national pride. For over a century, the Bells of Balangiga have not rung in the Philippines, a silence that the president last year called "painful." Now, the revered bells will once again be heard in the country. 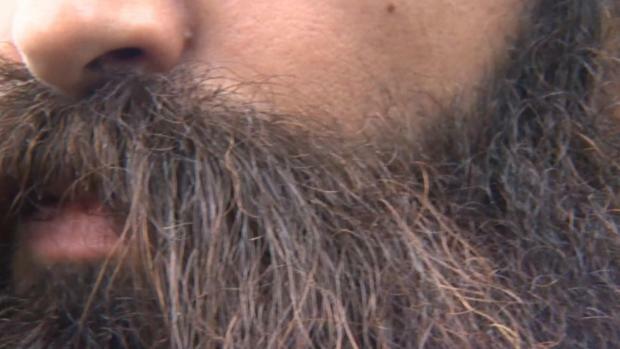 Associated Press journalists Bullit Marquez and Cecilia Forbes contributed to this report.